As well as manufacturing a complete range of standard pulleys, TransDev is also the UK’s largest manufacturer of special pulleys. If a standard pulley is not suitable you can rely on TransDev for pulleys that fulfil specialist applications and the most demanding of briefs. 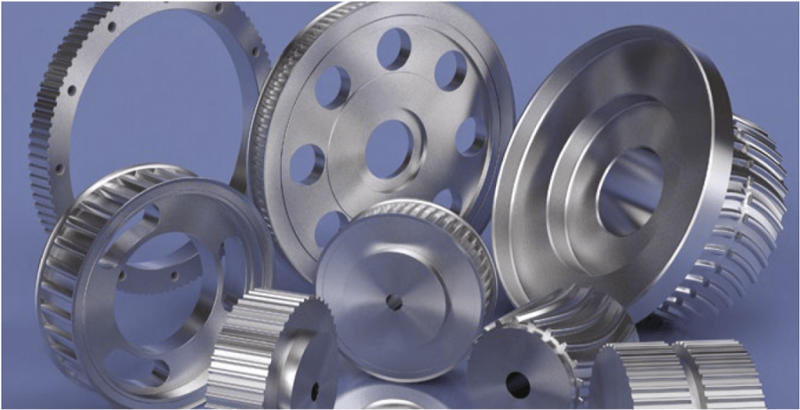 We can manufacture pulleys from 4mm to 1 metre in diameter and from various materials, including Aluminium, conventional Steel alloys, Stainless Steel or Plastics. Our dedicated sales team have exceptional product knowledge backed up by ongoing training. Our world class MRP system with barcode tracking means we have instant access to the live status of your order. 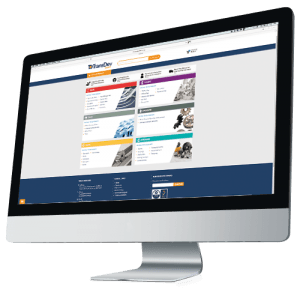 We have invested over £350,000 of tooling covering all SYNCHROFLEX®, BRECO®, SYNCHROCHAIN®, HTD®, IMPERIAL, POLY CHAIN®, SILENTSYNC® (Eagle), clamp plates, gears and sprocket pitches. This investment is testimony to our commitment to be the ‘one stop shop’ for all pulley, manufacturing requirements. 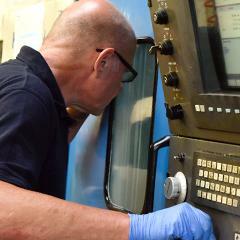 We utilise manual and CNC machining; operating two manned and one unmanned shift per day and have Standard and Prototype Express cells. High precision, flexible manufacturing, including live work queues, enable fast throughput and response to specification requirements. Downstream measurement, from simple inspection of finished parts to modern conturoscope scanning (at a resolution of 1/1000th of a millimetre), to 3D measuring equipment make sure that the exactly defined quality standards are met. TransDev are also certified according to DIN EN ISO 9001:2015.